Adonit already makes some of the best styluses in the world, now it’s unleashing a new app that will help you make the most of them. The company behind the popular Jot styluses line revealed today that it’s made a new app called Forge that’s not just a great place to sketch out drawings, but also doubles as a digital workspace for visual thinkers. 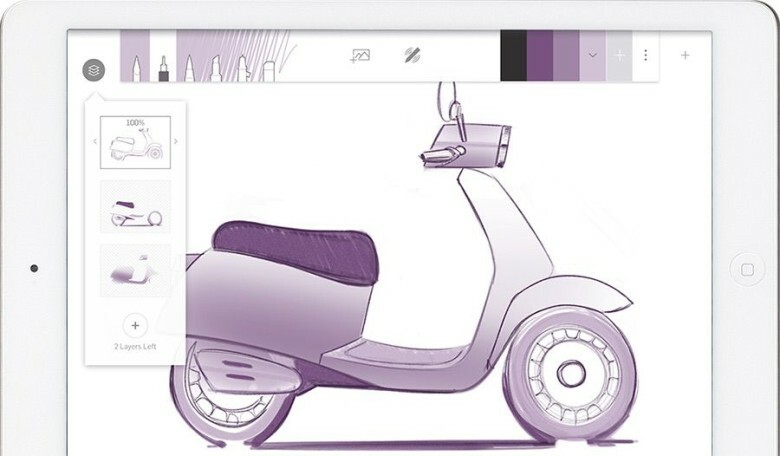 The apps comes with five basic drawing tools for brush sizes and style, plus a color selector. The rest of the UI is very minimal and gets you into the drawing quickly. Forge also includes support for layers so you can trace images and make new iterations for touch ups. The move from being a pure hardware company to also focusing on software is interesting, especially considering Adonits new big rival, FiftyThree, just made the opposite leap. After charging for its award winning sketching app Paper for years, FiftyThree announced its getting into the stylus business with Pencil and made Paper available for free to sell more hardware. Forge has been designed to work specifically with the pressure-sensitive Jot Touch stylus, but it can work with other styluses or your finger. It’s free to download to get started, but to add extra work walls you can pay $3.99 for an unlimited amount of space.